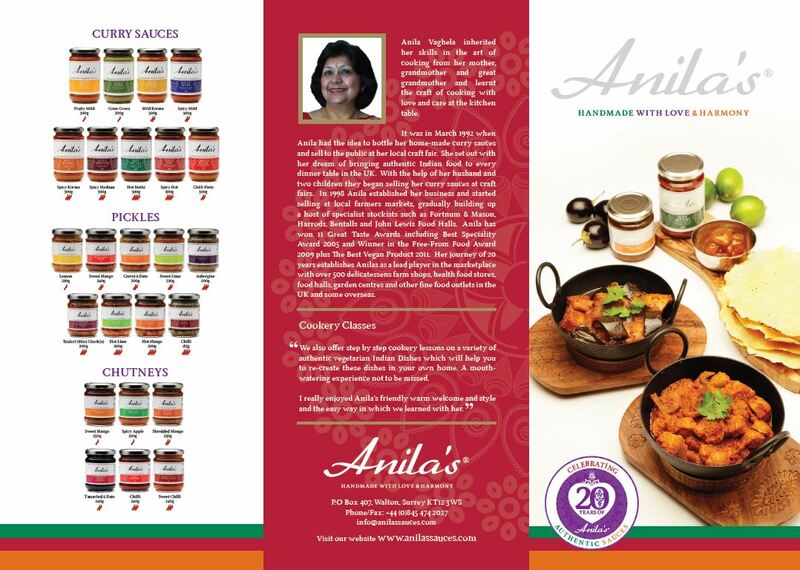 Anila’s award winning curry sauces are uniquely produced using traditional methods with fresh ingredients, dedication and love, to offer the highest quality, naturally made, tasty food without preservatives or additives and are free from added sugar, dairy, gluten, onion and garlic. They are suitable for coeliacs, diabetics, vegans and those with food intolerances. Opening a jar unlocks an authentic taste explosion. One only needs to taste it to see the difference. 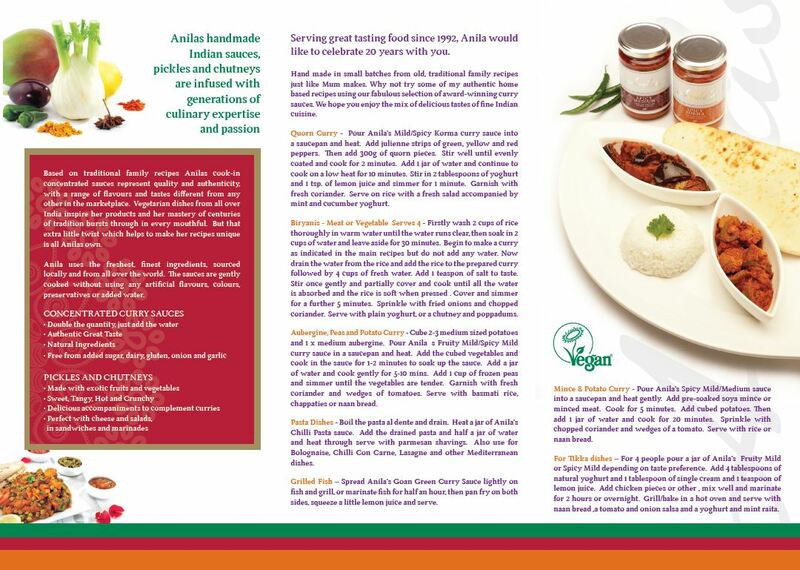 In a range of 8 satisfying flavours from mild and fragrant to hot and spicy, for food-lovers to prepare and enjoy gourmet Indian meals quickly and easily. In our chutneys and pickles, single fruits and vegetables are used to preserve their freshness, a purity of taste that treats the palate to a natural, authentic experience. The special oil does nothing more than preserve the exquisite flavour of each product, sealing in the goodness. Uniquely produced pickles made to marry deliciously with a variety of dishes and cheeses to create perfect harmony between taste and sensation. We now have sixteen flavours from sweet and fruity to hot and tangy. We cook in peace so that the serene vibrations can infuse the food. We bless our food before we eat, giving thanks to the Giver of all.